Jennefer Folsom is very proud to be with @properties, the#1 residential brokerage firm in the city of Chicago and the largest independently-owned brokerage firm in Illinois. Detail driven, knowledgeable and slightly obsessive, Jennefer provides a perfect blend of strength, softness and creativity to each of her transactions. Originally from Crystal Lake, IL, she brings 20 years of sales, marketing and performance skills to her real estate career. Jennefer's tireless work ethic, in-depth market research, excellent communication skills and attention to detail leave a lasting impression with clients and colleagues. In a service business, it is her commitment to serving her clients, warmth, and perspective that guarantees a smooth, educated transaction, and leaves a lasting impression. 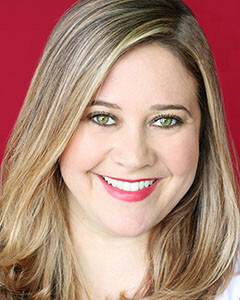 After graduating from Northwestern University, Jenn made Chicago her home, working in the hospitality industry and pursing a successful acting career. After six years in the city, Seattle was her next home where she earned her MFA from the University of Washington. 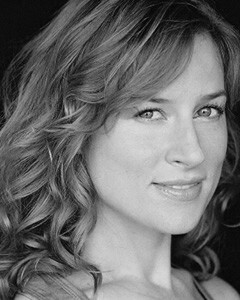 To keep life exciting, Jennefer moved to Los Angeles where wrote and produced pieces for Funnyordie.com and various storytelling events. Her true story about a federal felon, Tom Cruises' P51 Mustang airplane, a trip to Vegas and her grandfather's life dream coming true can be can heard on the podcast Strangers, and has also been aired on NPR. Jennefer had 26 addresses in 15 years before finally bringing it full circle, returning to Chicago in 2014 where she resides in beautiful Lincoln Square with her husband and their little storm trooper, Leroy. Jennefer has put in serious time residing in Chicago, as both a young professional and now, family. She has lived in many neighborhoods, and provides expert knowledge about CPS and navigating the Chicago school system. Committed to her community, Jenn volunteers for several organizations in the city, including Speak Up, which helps former homeless men and women use their stories to become advocates for subsidized housing, JOKES4MILES, a pediatric cancer organization, and Coat Angels. She is also an active member of the Northwestern Alumni Association. Her fine-tuned attention to detail stems from being around the real estate business most of her life. She inherited an eye for interior design from her mother, an interior decorator, and enjoys the hands-on projects that go into staging a house and preparing it to be buyer friendly. Tiffany’s resourceful and creative marketing strategy leverages unique and innovative ways to maximize opportunities for sellers. For buyers, Tiffany’s extensive knowledge of the history and property values of Chicago’s diverse neighborhoods can help them envision exactly what they’re looking for. Consistently ranked as a top producing real estate agent with @properties, Tiffany has been selling real estate for over 16 years. She is a credentialed member of the Chicago Association of REALTOR’s and Top Agent Network. She is a Certified Negation Expert(CNE) and an Accredited Buyers Representative(ABR). Tiffany is an @properties Top Producer, Road to Rolex recipient and was recently featured on HGTV’s House Hunters. 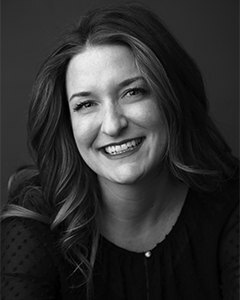 In 2013, Tiffany partnered with Jennifer Johnson to create a dynamic, client-centric business whereby they can more efficiently manage business and cater to her client’s needs. Collectively they have sold over $150 million in real estate together throughout Chicago.